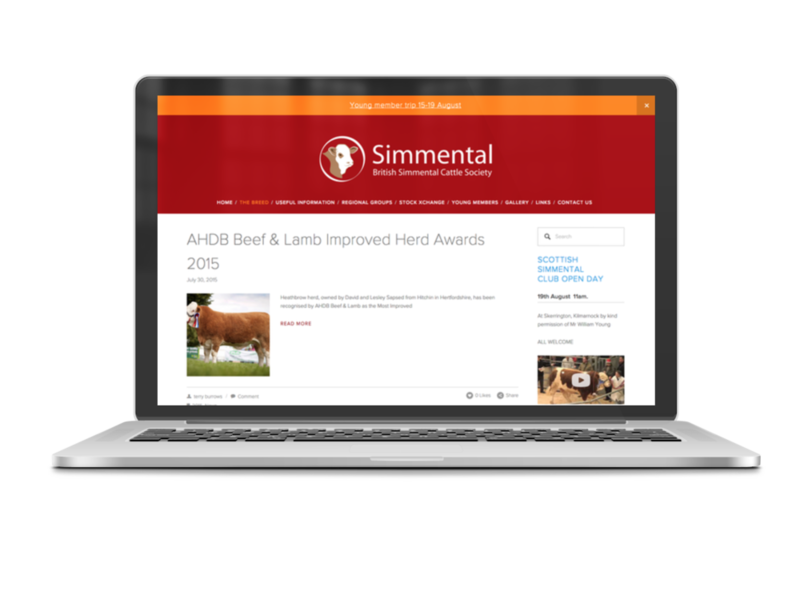 The British Simmental Cattle Society are one of the biggest breed societies in the country and had a relatively old site. It functioned well but aesthetically was lacking. The new site offers all the function with far more impact, it's responsive allowing it to be used on mobile devices such as phones and tablets. The site took advantage of some fantastic photography by Catherine Macgregor and allows easy navigation between sales, shows and news.